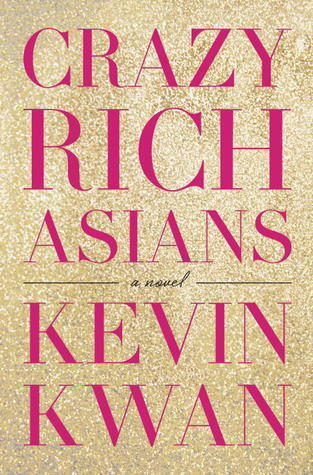 A lil helpful breakdown of Crazy Rich Asians, so that other people like me who were curious about the hype don’t have to be let down by the absolute pathetic-ness that this book was. All in all, the shallowly written characters, basic plot, and pretty awful writing left a lot left wanting. I still haven’t seen the movie, so I pray to god that it’s better, but ohmygod pls don’t bother with the book. It was an easy read, I’ll give it that- I breezed through, and while reading it, it didn’t seem that bad. But once I actually finished it and tried thinking about what I liked, I came out blank, so. That’s my review! i couldn’t bother with full sentences for this one, and making a gif review proved to be surprisingly fun, so there you go! Have you read the book/watched the movie? What did you think? Tell me in the comments! Oh my gosh, I loved the gifs, haha! They made me laugh. YAY glad you enjoyed it!! Okay, this is a HILARIOUS review format. Also, I’m mostly with you. I thought the book was okay but didn’t really get the hype. I did really like the movie, though. It’s a lot more charming. THANK YOU SO MUCH!! Right?? I was really hoping for more after all the buzz. i haven’t watched the movie yet, but I have heard it’s better than the book, so hopefully I’ll get to it soon! Your review was hilarious! 🙂 Loved it!